When you cross the threshold into your home or office each day, you want to feel uplifted, energized, and inspired. You want to spend time in an environment that enhances your joy, elevates your mood, and heightens your sense of curiosity. Because life if too short for anything else. Hi, I’m artist Sylvia Lippmann, and that’s the kind of art I love to create. I call upon my experiences with nature and life to make art filled with energetic movement and lively colors. My goal is to add beauty and inspiration to your life and surroundings through my abstract and floral paintings. I invite you to explore my work through the Portfolio link at the top of my website, scroll down to get on my email list so we can keep in touch, or feel free to reach out to me directly here. Ready to add more beauty and inspiration to your life? 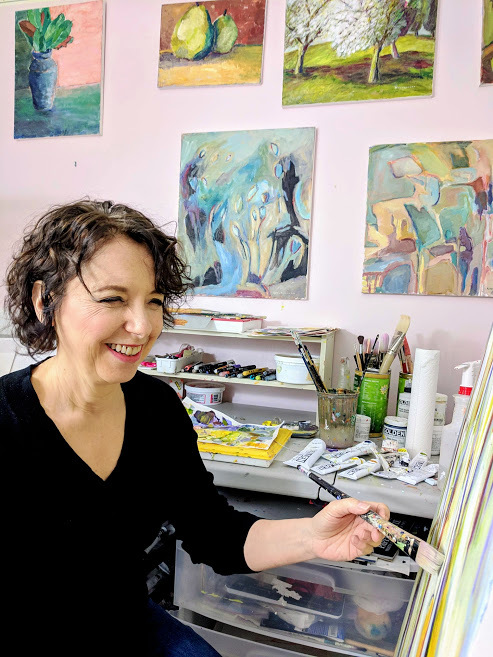 Sign up for my Energetic Abstracts newsletter for a first look at new works, a behind-the-scenes peek at paintings in progress, plus exclusive offers and special deals I only share with my subscribers.